In Iran, Islamic mortgage aims to offer a halal financing solution to Iranian Muslim and non-Muslims living in Iran who wish in the context of Islamic Shia to use Islamic financial products in Iran. 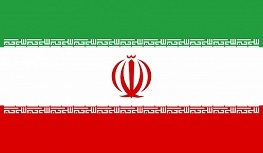 In terms of Islamic Finance, Iran has been among the first countries to implement Islamic finance schemes, specifically on its banking sector by applying the usury-free legislation. Iran in terms of Islamic Finance makes up the world’s largest financial assets based on Islamic law, with the largest Islamic banking assets and the Iranian banking industry remains completely regulated by the Islamic law. Iran being not a country following the Sunna as it is inspired by Shia jurisprudence, which often diverges from mainstream Sunni jurisprudence.